Bird Harness - the final solution to take out your bird without being afraid that it flies away. The harness is easy and safe to fit below the birds' wings. Petit - for cockatiels, sun conures etc. Small - for mini macaws, goffin cockatoos etc. Medium - for grey parrots, amazons etc. 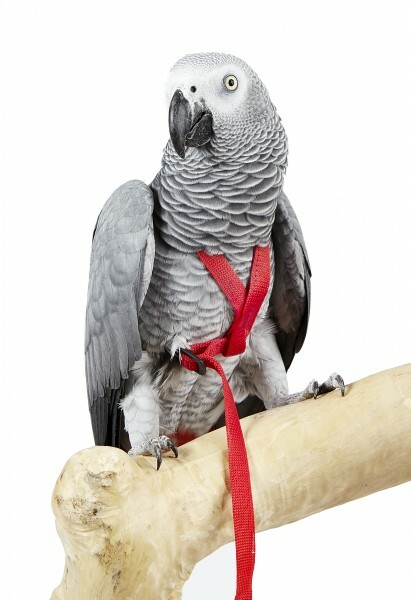 Attention: The harness is not made to keep your bird for a long period fixed to it. Only use under supervision and according to producers guidelines. links "Fluggeschirr Adventure Bird Harness X-LARGE"
customer reviews on "Fluggeschirr Adventure Bird Harness X-LARGE"